I KNOW I KNOW! This really isn't an original idea. Sticking brushing in a glass jar with pot filler, you see it everywhere; especially in Sephora. But yeah, anyways. I was inspired by missglamorazzi's video on Youtube. 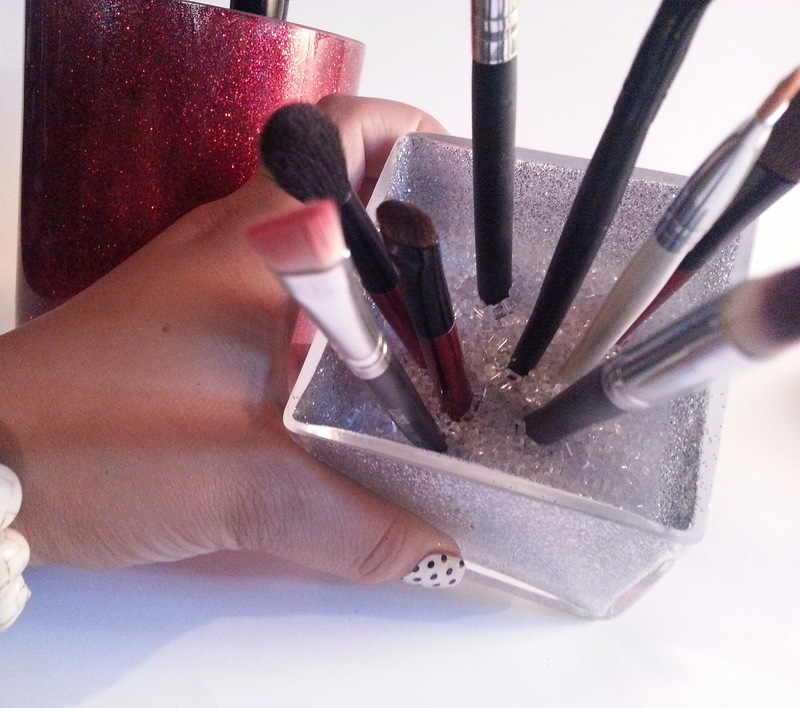 She made a DIY video where she reused candle jars to create makeup brush holders. 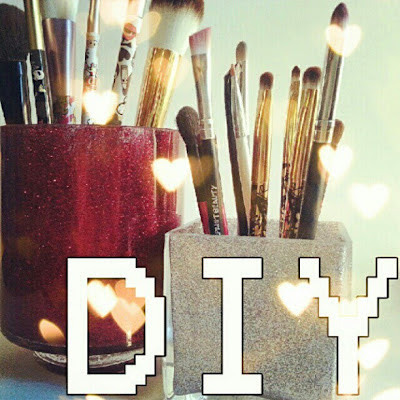 The DIY I'm posting is 90% the same as hers. So please, I'm not stealing her idea, I just really enjoyed doing this and wanted to post about it for my what little I have readers. To check out her video go: here. 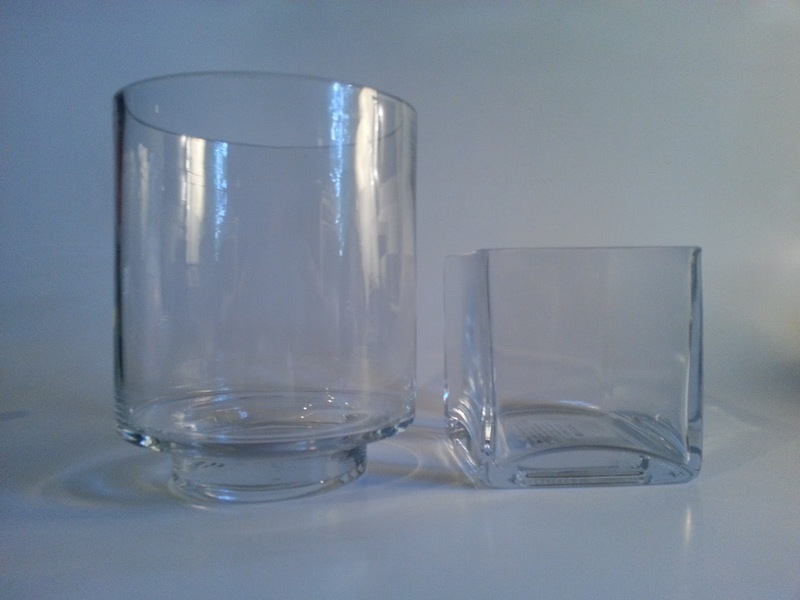 * All of the items shown here I purchased from JoAnn's accept the glass containers but I know you can get those at JoAnn's as well. Getting started is super easy. Heck, this whole project didn't take me more than 20 minutes to complete. Clean up was a breeze as well. Just make sure to lay out some time of covering on your work station before you begin. I used a couple sheets of paper, nothing special. 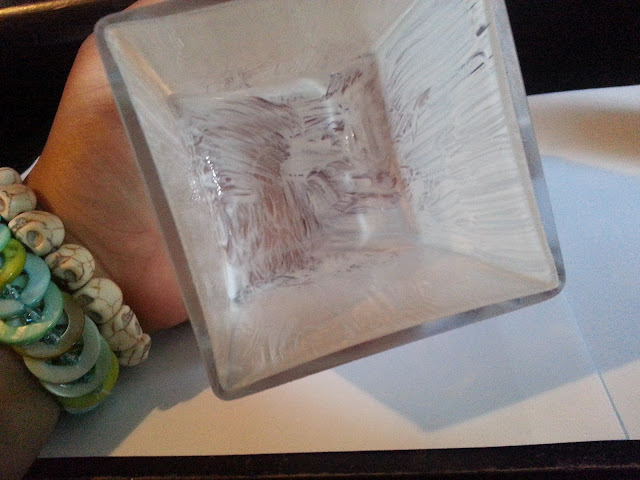 As shown above, use the Mod Podge with a paint brush and evenly coat the entire inside of the glass container. If it gets gloppy it will take longer to dry and create bumps. If it's not even enough, the glitter will not cover the whole inside and create an undesirable streaking effect. 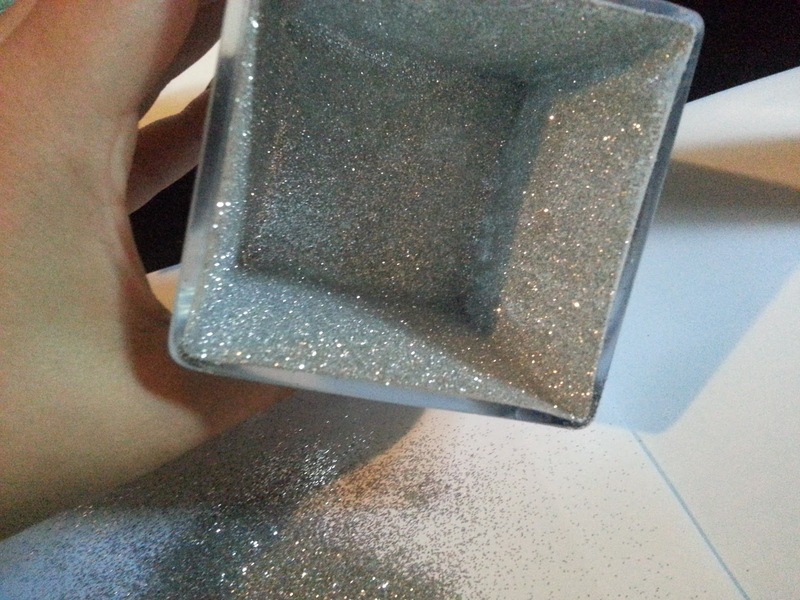 Pour a generous amount of glitter into the container. Work is around until all the glue is covered. Don't worry if you don't use all of it. 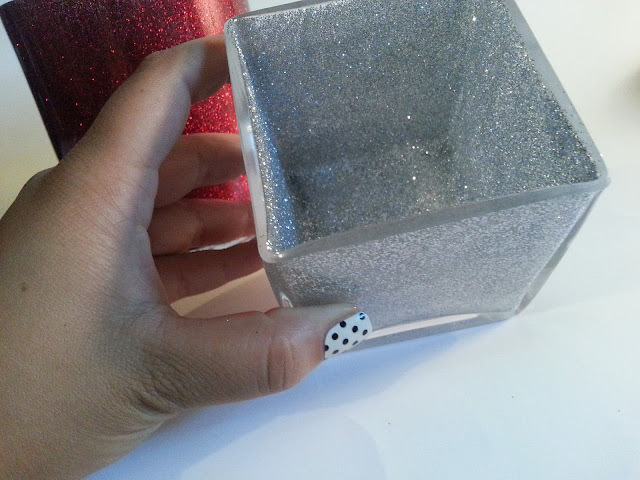 I used the paper I was working over to funnel the rest glitter I didn't use back into the bottle. Nothing wasted. 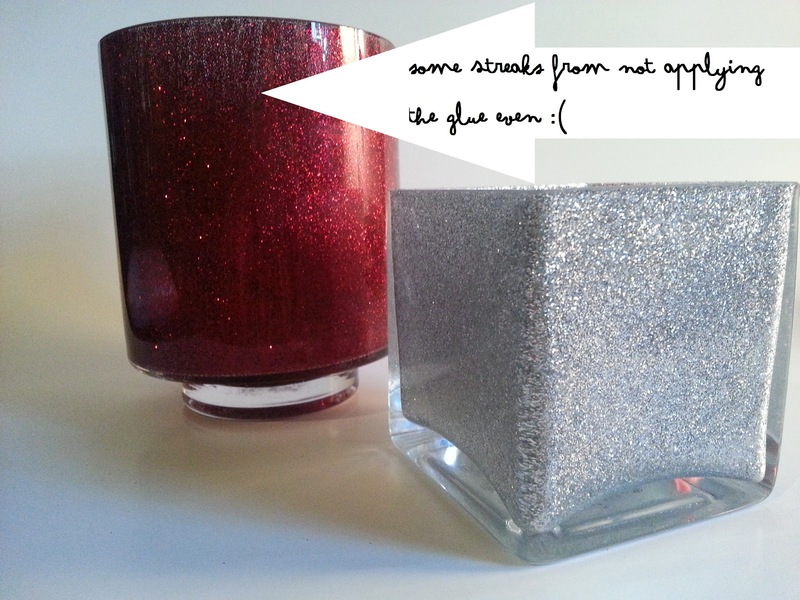 :) Any this point you will want to let your glass container dry over night. These are how mine turned out. As you can see from the pictures, the silver one looks great but I got streaks on my red one from not applying the glue even enough. At this point, if this happened to you can get repeat the glue/glitter process on the streaky areas and let it dry for another couple hours. Here comes the fun part (well, it was all pretty fun)! 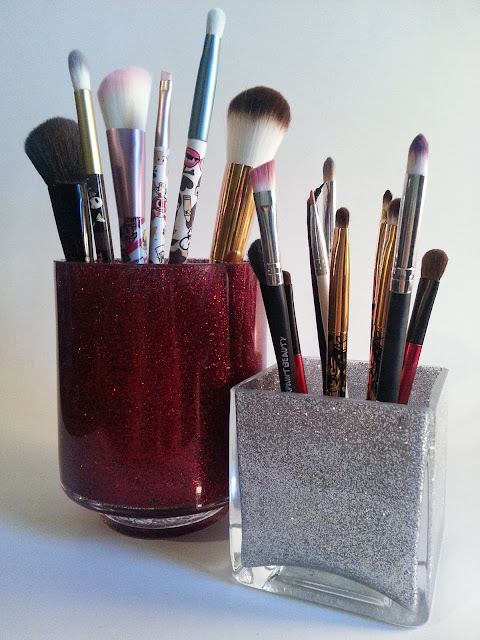 It's time to fill the containers with your filler and brushes! I used "Crystal Fill" from JoAnn's. TA-DA!! Super easy, right?! Seriously this project only cost me 25 dollars and 20 minutes of my times. 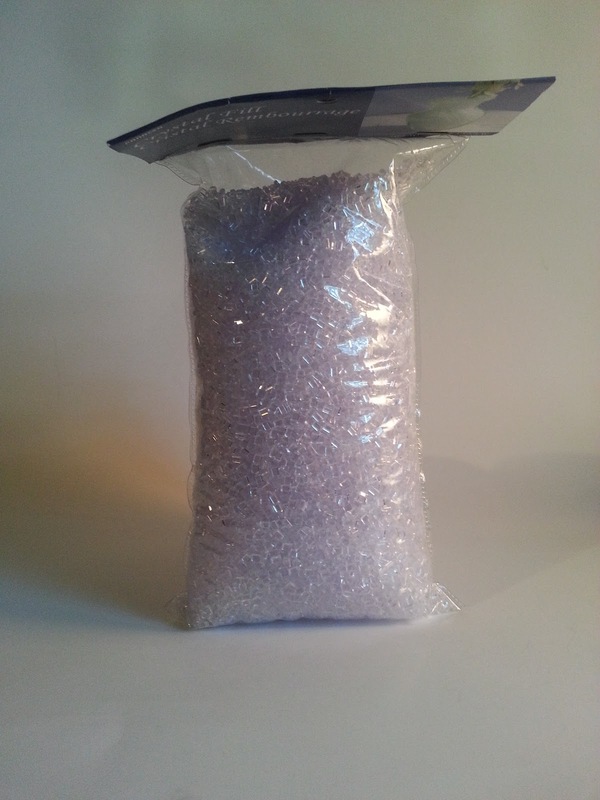 If I even wanted to make more in the future, I have all the supplies ready. The only cost would be the glass containers. I love how mine turned out and I love the shape/size combo. :) It was alot of fun. 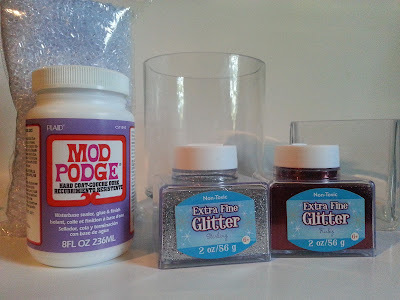 If you want too, you could get super creative with this project such as, using multiple colors of glitters or combos of the same color but different sizes to create different effects. 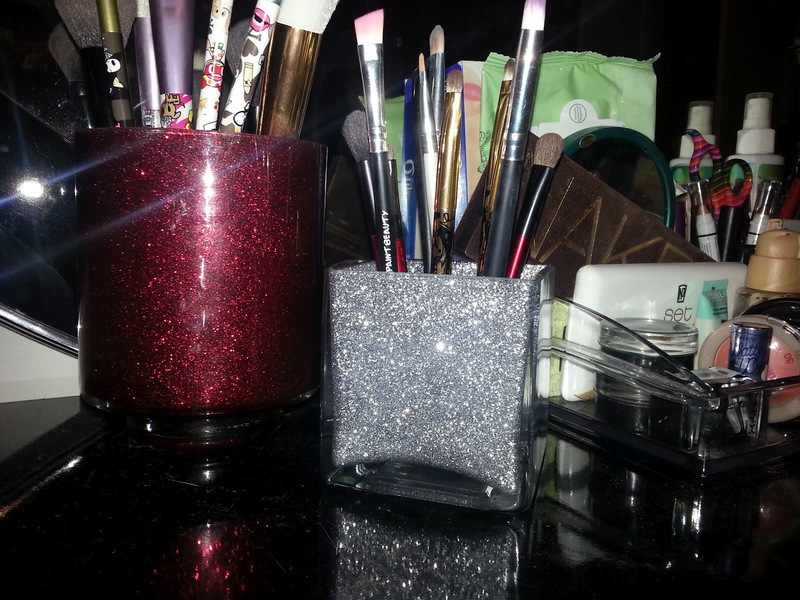 How do you organize your makeup tools?